Ismail Rasheed is CEO and Managing Director of Dhiraagu Plc, the leading and the largest provider of telecommunications and digital services in the Maldives. Prior to this current role, he has held several key positions including the Chief Executive and Director of Networks. Under his leadership, Dhiraagu was the first operator in Maldives to connect the geographically dispersed nation from North to South through its 1253km length fiber optic submarine cable network which supports the country’s largest 4G LTE and fixed broadband network. With over 30 years of extensive telecoms experience he played a pivotal role in transforming the company into a leading digital solutions provider. 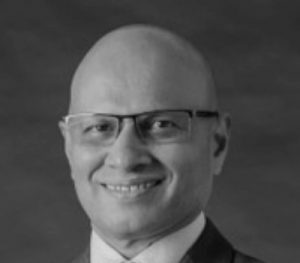 Ismail’s qualifications include an MBA from University of Reading (UK) and a Bachelor of Engineering (Hons) in Telecommunications Systems Management and Design from Anglia Polytechnic University (UK). He is also a chartered engineer and is a member of the Institution of Engineering and Technology, United Kingdom.